From the famous Boqueria in Barcelona to the tiny village markets of rural Spain, market life and fresh regional products are at the heart of Spanish life and cuisine. These dishes are based on the everyday foods of Spain that are central to good home cooking—plump tomatoes, fresh fish and vegetables, ripe fruits, tasty cheeses, and perfectly cured meats. With more and more people trying to eat a varied and healthy diet, this illustrated cookbook and reference combines this demand with Spain's ever-increasing popularity. 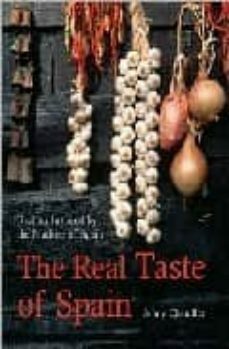 Jenny Chandler has divided the book by the stalls of the local market: shellfish and fresh fish, poultry and game, meat, cereals and legumes, olives and spices, vegetables, fruit, and dried fruits. Each section includes quick tapas, smaller dishes, and main meals. Jenny brings the vitality of the market to life with introductions to each stall and explanations of the products. She also includes traditional cooking techniques and easy variations.